The American Almanac connects you with the seasons, the stars, and beyond. 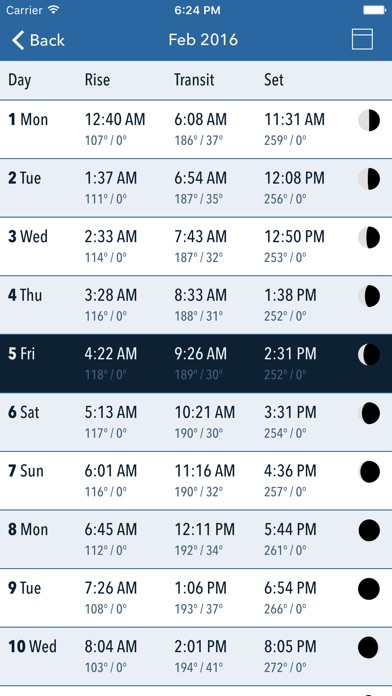 You can easily find out when the moon rises tonight, or five years from now. See and really understand how the sun moves across the sky and creates day and night, and how it varies during the year. 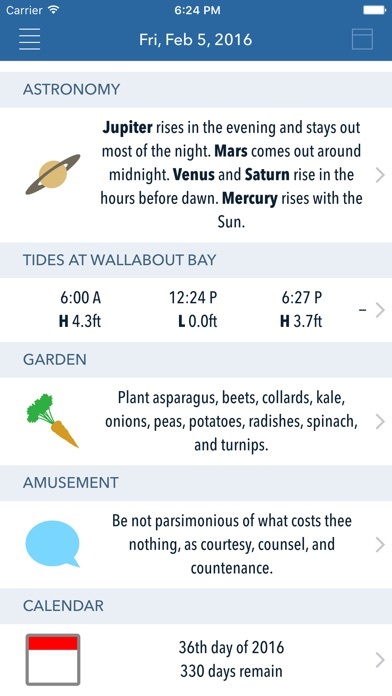 Get weather reports, learn when to plant carrots, and see whether Venus will greet you when you awake. 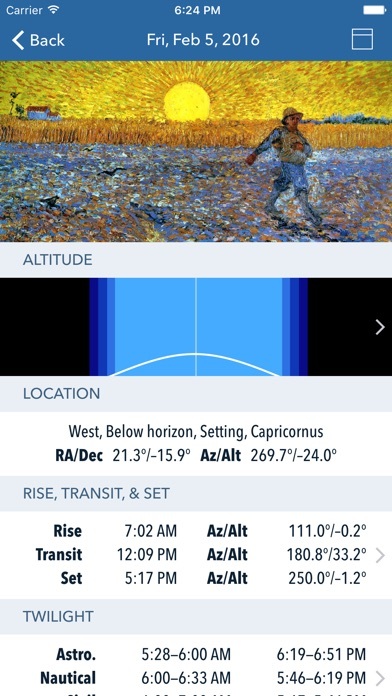 The app gives you access to astronomical and natural data in an innovative and smart way. The home page gives you a summary of everything you need to know that day. From there, you can drill down into any of the main categories to get more and more detail. Moving through time is quick and easy. Just slide the screen left or right to move the clock ahead or back, or if you want to pick a specific date, tap the date in the toolbar. It's both a work of art and a really useful tool. It will help you learn, appreciate, and benefit from nature every day. 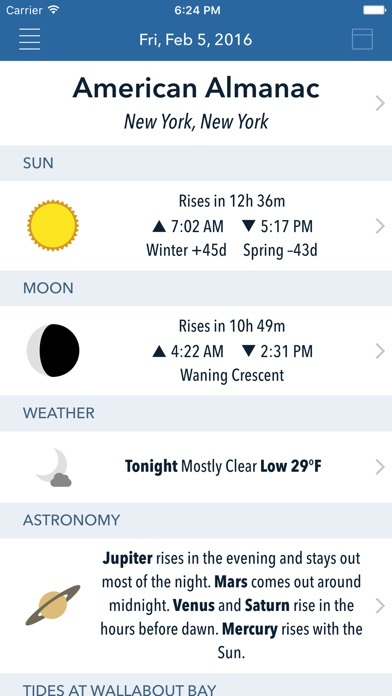 There is no other app that combines all of this data, and all of these features, in such a beautiful and ingenious way. The American Almanac is an app that people keep, and when you buy it, I think you'll agree. Major features include: • WEATHER: Tides, 7-day forecast, long range forecast, averages. 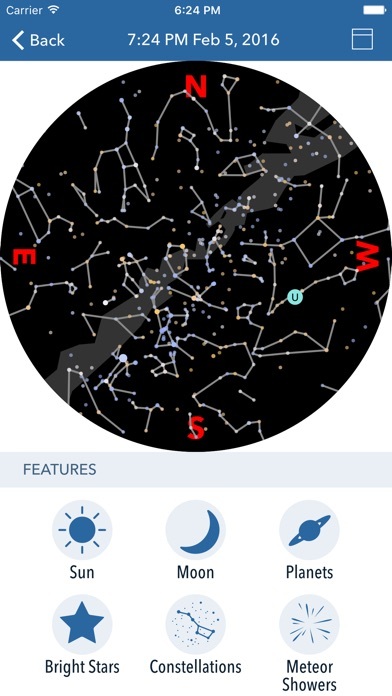 • ASTRONOMY: Rotating sky map, sun, moon, tides, stars, planets, constellations, sky watch, day and night length, twilight, eclipses, the seasons, meteor showers, dark time. • GARDEN: When to plant, frost dates. • ASTROLOGY: Best days, moon sign, the zodiac, Chinese zodiac, planting by the moon. • OUTDOORS: Best fishing and hunting days. • DATE & TIME: Holidays & observances, world clock, odd holidays, time zones, religious holidays, and unusual calendars. Weather and tide data is subject to availability. An option to remove Uranus Neptune and Pluto from the Planisphere would be good since those are not really ‘visible’ but it is a great app and highly recommended! I lost my farmers almanac which was 6.99 at cvs. I really didn’t want to waste more money on another copy. The “ old famers almanac “ is filled to the brim with sad advertising for love potions and other useless money grabs. I wish this app had its own paperback book. I love having something physical in my hands but this app is much better quality and you get so much more bang for your buck. This is pretty much Grandma serving you a plate of food. This is a Great App and full of Information. Good app, reliable, varied sections, quirky art. Would give 5 stars if it orient to landscape mode. I got the first almanac app a while back and I love it so much that I got this one. And the hazmat hijinx game as well. The developer of these apps has a way of really humanizing the use of a smart phone or any technology that has really been lost over the years. It’s made for the person to use and enjoy and I don’t get this cold need to stare obliviously into a screen for no reason. I learn something new everyday when I consult the almanac app for weather and today’s quote and start to explore more. It informs me about the area and Mother Earth. Really grateful for this one. This is a awesome app it has everything that you need or want to know 5 stars for me !!!! !